The metal City towers at the center of the mountain-ringed Heartland, standing astride the deep chasm of the Canyon like a malevolent giant, ruled with an iron fist by the First Officer and his Provosts in the name of the semi-mythical Captain. Within its corroding walls lies a stratified society, where the Officers dwell in luxury on the Twelfth Tier while the poor struggle to survive on the First and Second, and outcasts scrabble and fight for whatever they can find in the Middens, the City’s rubbish heap, filling the Canyon beneath its dripping underbelly. Danyl, raised by a scavenger, knows no home but the Middens. His day-to-day responsibility is to stay alive. His sole ambition is to escape from this subsistence existence and gain entrance to the City–so near and yet so far out of reach–in hopes of a better life. Their two very different worlds collide when Alania, fleeing from an unexpected ambush, plunges from the heights of the City down to the Middens, and into Danyl’s life. Almost immediately, both of them find themselves pursued by the First Officer’s Provosts, for reasons they cannot fathom–but which they must uncover if they are to survive. The secrets they unlock, as they flee the Canyon and crisscross the Heartland from the City’s farmlands to the mountains of the north and back again, will determine not only their fate, but the fate of the City…and everyone who lives there. Edward Willett is an award-winning author of science fiction, fantasy and non-fiction for both children and adults. Born in Silver City, New Mexico, Willett lived in Bayard, New Mexico and Lubbock and Tulia, Texas, before moving to Weyburn, Saskatchewan with his family when he was eight years old. He studied journalism at Harding University in Searcy, Arkansas, then returned to Weyburn as a reporter/photographer for the weekly Weyburn Review, eventually becoming news editor. In 1988 he moved to Regina, Saskatchewan, as communications officer for the Saskatchewan Science Centre, and in 1993 he became a fulltime freelance writer. He still resides in Regina. 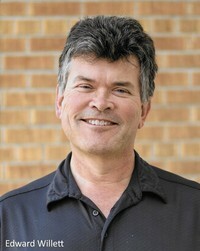 Willett is now the author or co-author of more than 40 books, ranging from computer books and children’s non-fiction books to science fiction and fantasy for both adults and young adults. His science fiction novel Marseguro (DAW Books) won the 2009 Aurora Award for best English-language science fiction or fantasy book by a Canadian author. He has also won a Saskatchewan Book Award for his YA fantasy Spirit Singer. He has been nominated for the Aurora Award and Saskatchewan Book Awards multiple times. His most recent novels include the Masks of Aygrima trilogy, YA/adult crossover novels published by DAW books and written as E.C. Blake, and the five-book YA fantasy series The Shards of Excalibur, published by Coteau Books. He’s also the author of the Peregrine Rising duology for Bundoran Press (Right to Know and Falcon’s Egg). Other novels include SF novel Lost in Translation (DAW Books), Terra Insegura (sequel to Marseguro, DAW Books), Magebane (DAW Books, written as Lee Arthur Chane), YA SF novels Andy Nebula: Interstellar Rock Star, Andy Nebula: Double Trouble, and The Chosen; and YA ghost story The Haunted Horn. 2016 will see a new YA fantasy, Flames of Nevyana, from Rebelight Books. His non-fiction titles run the gamut from science books for children on topics as diverse as Ebola Virus and the Milky Way to local history books like Historic Walks of Regina and Moose Jaw for Red Deer Press, awarded a Municipal Heritage Award by the City of Regina in the education category and A Safe and Prosperous Future: 100 years of engineering and geoscience achievements in Saskatchewan, published by the Association of Professional Engineers and Geoscientists of Saskatchewan (APEGS). He’s also written biographies for children of Janis Joplin, Jimmy Hendrix, Johnny Cash, Andy Warhol, Orson Scott Card, J.R.R. Tolkien and the Ayatollah Khomeini. You can find Ed online at his website, on Facebook, and on Twitter. His is represented by literary agent Ethan Ellenberg. Besides being a writer, Willett is a professional actor and singer who has performed in dozens of plays, musicals and operas in and around Saskatchewan, hosted local television programs, and emceed numerous public events. He’s married to a telecommunications engineer and has one daughter. The City is a large structure that is thirteen levels tall which has created a caste system. On levels one and two have those that are scrapping by to survive with the poor to drug addicts. Each level progressively gets better until level ten which is the prison. Those that go to the prison are never seen again. Level twelve houses the Officers and level thirteen is where you can find the First Officer, the one that rules everything with his power hungry methods and insanity. Alania lives on level twelve. She does have things better than most but still feels like a prisoner. That is until she is chased out of the City and finds herself in the Middens, the trash heap from the City. There she meets up with Danyl, one of the people struggling to survive in the Middens. There they go on the run from the Provosts and start questioning the city, its purpose, and why it is failing. Dystopian stories are my all time favorite and I couldn’t wait to get into The Cityborn. This story revolves around Alania and Danyl. They grew up on either side of the City but find that they are the chosen, even though you don’t really know what that means. There is a good world building the first portion and this part does seem to drag a little. But once things start going, you will be flipping the pages as fast as Alania and Danyl are moving to keep ahead of the Provost. There is a lot happening in this story and it does a great job of building the world we find ourselves in. But I admit that I was left wanting at the end of the story. I would have liked to have a little more information to wrap everything up. Overall this is a great dystopian story. It’s my first book from Edward Willett and I hope to read more of his books. 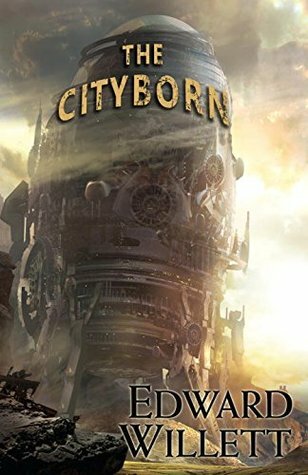 I received The Cityborn from Berkley Publishing Group for free. This has in no way influenced my opinion of this book. House of Commons secretary Grace has been counting the tea breaks in the same dull job for a decade . . .
Brett is on a mission to shake up the dusty backrooms of power—and set to collide with Grace. Office life begins to look up when Grace receives an email. Rowena Macdonald lives in East London, works at the Hour of Commons, and teaches creative writing at Westminster University. She has won several prizes for her short fiction, including two Asham Awards, shortlisted for the 2012 Edge Hill Prize, and was a runner-up in the Royal Society of Literature’s 2013 VS Pritchett Prize. Grace Ambrose works at an entry level position at the House of Commons. One day she finds trouble as she loses her pass for entry and meets the new Australian, Brett Beamish. Brett is brash and Grace is not impressed with him but eventually finds herself in a relationship with Brett. Then Grace receives a mysterious email from an admirer. This leads Grace in a whole new direction, into trouble, and having to ask Brett for help. Although this story takes place in the House of Commons you will not be learning anything political. This is about the office workers and those that keep things flowing in the background. I was laughing at the first half of the book. Brett and Grace seem to be polar opposites and then they find themselves attracted to each other. I was laughing at the different situations that they find themselves in. Then the book takes a left turn and goes in an opposite direction and has an ending that I was not completely impressed with. This is a good read if you like contemporary romances. There is not a lot of politics in this one but it still involves a couple difference branches of government. It is not what I expected but still a good read. 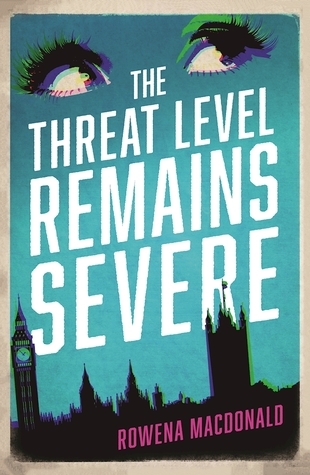 I received The Threat Level Remains Severe from MZPR for free. This has in no way influenced my opinion of this book. What teenage boy doesn’t want to fit in and have friends? That’s what Argus Dachel, 17, wants more than anything, but because he’s half alien, a New Breed, that’s not as easy as it seems. And it sure doesn’t help that he and his brother, Tai, are being pursued by a secret government agency. To top it off, now in their senior year at public high school, both boys risk exposure when Argus uses his extraordinary strength to defend himself against the school bully, falls for 16-year-old Lola and then learns that New Breeds are set for extermination by another group of hostile aliens. As government agent Max Jackson gets close to discovering the brothers’ identity and the hostile alien forces close in, what chance do Argus and Tai have of survival? Sofia Diana Gabel is a multi-genre fiction writer who was born in Sydney, Australia, but is now living in the United States with her family. With degrees in environmental science and archaeology, she enjoys being out in nature when she’s not glued to her desk writing or researching a new story idea. 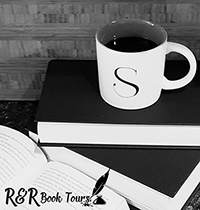 Writing is a true passion of hers, born from a love of the written word that can transport the reader to different places or worlds and deliver them back to reality, safe and sound. Argus and Tai Dachel are seventeen year old teens that have been homeschooled and keep in the bubble of their Aunt Celeste’s house. But now she is going to let them attend high school for their last year. That would be a shock to anyone’s system but then they find out that they are half human and half alien that are called New Breeds. New Breeds rarely live past sixteen years so they are pretty special to begin with. But the boys have a lot more to learn. They are going to get some special abilities along with learning that they are going to be hunted from our government and another race of aliens that kills New Breeds. Argus and Tai are twins and seem to have opposite personalities. Argus is caring and wants to help others. He is so easy to fall for. Then there is Tai who has a chip on his shoulder and a mouth that is going to get him into trouble. Then there is Max Jackson, an AURA agent that has to find proof of aliens or is out of a job. The story bounces between Argus and Max and things they both face. I like how Max is not the typical man in black but very self doubting and such. This is a great story that will appeal to young adults and adults alike. It is the first book in a trilogy so there is a cliff hanger and the story is left open. But I still really enjoyed it. Now I can’t wait to read book two, Heritage. I received Two Brothers: Origin from Reading Addiction Virtual Book Tours for free. This has in no way influenced my opinion of this book. It was great to have a friend, his first friend in high school. He’d had friends growing up, but they were other home schooled kids, and none of them were anything like Lola. Not even close. Argus blurted, “What? Really?” Did that mean she liked him, too? Okay, Argus, you’re acting like an idiot. She didn’t mean anything by that. Get a grip. He watched her as she opened the office door. She’s the ‘welcoming committee’ like she said before. It’s her job to be nice to new students. Then again, she did say she liked it when he kissed her hand. Argus knew exactly what she meant by ‘you know’. Their abilities were increasing and becoming more pronounced. She told them, under no uncertain circumstances, to tell her right away if they noticed any changes or new abilities. She’d never explained completely why they had to keep their abilities a secret, only that it wouldn’t be good to let anyone know. She said she’d explain it all later. She nodded. “But remember, call or text if anything goes wrong. Anything.” She stared at them for a few seconds before getting back to the paperwork. Lola shrugged. “I think that’s nice. My dad doesn’t really care…I mean, he does, but he doesn’t…ah, never mind.” She seemed to force a smile. Was she hiding something, or maybe she meant her dad was too busy to pay any attention to her. Another thing he’d have to find out. She motioned for them to go through the doorway leading to the rest of the school. Argus went first, but froze when an endless stream of kids hurried by. How were there that many kids in one place? Even at the mall during the holidays he’d never seen so many people. “Kansas? This is another planet.” Argus watched two girls in matching cheerleader outfits skip by arm-in-arm. Their skirts were so short he could see their underwear or shorts or whatever they were. Their legs were long and tanned and they both had short blonde ponytails. He couldn’t take his eyes off them. “This way,” Lola ordered in a loud tone very different from before. Tai was probably right, judging by the way Lola was stomping down the hall in the opposite direction to the cheerleaders. Mistake number two. Could she be jealous? He didn’t do anything but look. Okay, looking at other girls upset Lola, so no more looking. Except maybe when she wasn’t around. He jogged to catch up. If she was upset, then she must really did like him. There was so much to learn about girls. Lola stopped suddenly at a door with a placard above that stated Boys Locker Room. She pointed to the sign and continued down the hall, dodging her way through the throngs of kids. Uh-oh, she wasn’t as friendly as before. Something was definitely wrong. Argus would have liked to look in the locker room, but Lola was almost out of sight. Everyone passing by had a backpack and almost everyone was texting on their phones while walking, occasionally bumping into other kids. Argus felt out of place without a backpack, but at least he’d picked out clothes that blended in; new dark jeans and a gray tee shirt. A guy, staring at his phone, bumped into Argus and muttered an I’m sorry. It was chaos, but an exciting chaos. Argus caught up to Lola and was going to apologize for whatever he might have done, but she stopped at a set of double-doors with a placard that said Cafeteria. This time, she turned. “If you buy lunch, try to get in line early or you won’t get served in time. The super-seniors come in about ten minutes after the lunch bell rings and…well, you’ll find out.” She wasn’t smiling anymore. “Lola, did I do something wrong?” Argus glanced at Tai, who pretended he was looking around. “I’m sure I have no idea what you mean.” She frowned and twisted a curl of hair. “I think we have time to check out a couple of your classrooms.” She took a slip of paper from her pocket. “Argus, you have physics first period with Ms. Montgomery, same as me. And Tai, you have English. The English room is down that hall a bit.” She pointed to another hallway at an intersection. “And the science class is that way.” She pointed in the other direction. Argus nodded. Thank you, Tai. “Yeah, okay, good idea.” He waited until Tai vanished through the double-doors of the cafeteria. “Hey, Lola, can you show me where the science lab is so I don’t get lost?” Now that he had her alone, he could find out more about her.